Accomplished pianist and teacher Yong Hi Moon made her solo debut with the Seoul Philharmonic at age 10 as winner of the National Korean Broadcasting Competition. Moon has won top prizes in the Elena-Rombro Stepanow Competition in Vienna, the Viotti International Competition in Vercelli, Italy, the Vienna da Motta Competition in Lisbon, Portugal and received the Chopin Prize from the Geneva International Competition in Switzerland. 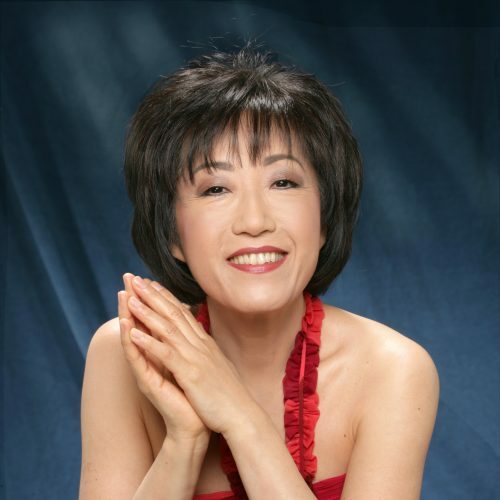 Moon performs extensively throughout Asia, Europe and the US as recitalist and soloist, having appeared with the Osaka, Seoul, Tokyo, Philharmonics, and the Korean National Symphony. In 1975, the South Korean government invited Moon to participate in a festival for the 30th anniversary of the Korean liberation, and she continues to maintain a strong performing and teaching presence in her native country. In 1991, she was invited to participate in a cycle of the complete Mozart piano concerti with the Bucheon Philharmonic Orchestra, commemorating the composer’s bicentennial year. In 1997, Moon performed the complete solo piano works of Schubert in six recitals in both Korea and the US. In the summer of 2000, she made her first extensive concert tour of Korea, including solo recitals in five cities, as well as performances with the orchestras of Kwangju and Daejun. She collaborates regularly with her husband – pianist/conductor Dai Uk Lee – in duo piano concerts and has performed under his baton with the Busan, Bucheon and Ulsan Philarmonics, Korean Symphony Orchestra, Korea Chamber Orchestra, Peabody Alumni Orchestra of Korea and the Michigan State University Symphony Orchestra. In 2009 they performed Olivier Messiaen’s Visions de l’Amen in both the US and Korea. Their CD recording on the Music and Art label of Czech four-hand piano music has received outstanding critical acclaim. Moon is in high demand as a guest master class teacher and adjudicator. In 1993, she released a popular teaching video in Korea entitled Artistic Piano Playing. Moon has been a regular faculty member at Shandelee, Aria, Prague, Bowdoin Summer Festival, Valencia Piano Academy and the Art of Piano Festival at the College-Conservaroty of Music in Cincinnati. In addition, she has been invited to perform and conduct master classes at Chautauqua Summer Festival in New York and the International School for Musical Arts in Canada. Recently she gave master classes in Shanghai Conservatory and Korean National University of Arts. She has served on the juries of the CCC Toronto International Piano Competition, Senigallia International Piano Competition in Italy, Gilmore International Piano Competition, Gina Bachauer International Competition as well as numerous MTNA competitions throughout the US. In March of 2014, she served as the chair of the jury at Seoul International Piano Competition. Moon was a professor of piano at Michigan State University School of Music for fifteen years and since 2002 she has been a member of piano faculty at Peabody Institute. Moon studied at the Vienna Academy, graduating with the highest honors. She continued her studies in London before pursuing an Artist Diploma at Indiana University in Bloomington. Her major teachers include Dieter Weber, Maria Curcio, György Sebok, Leon Fleisher, Wilhelm Kempff and Fou T’song, who have always been inspirations in her work.